Come party with us before we head out to Haiti for a month! 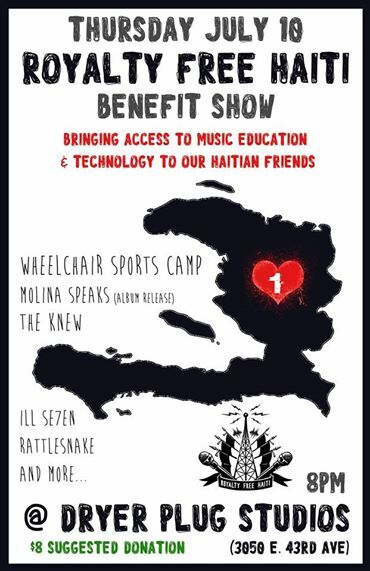 A group of us are going to bring access to music education and technology to our Haitian friends!! We’ll have our awesome Royalty Free Haiti shirts, patches, and necklaces available. Dryer Plug Studios has been so generous to this project, it’s only right we go out at our favorite space! community, music, drinks, what more do you want?? if you can’t make our event… please look at our indiegogo where you can make a donation for merch, the samplebank, original art, etc.